US-based cab-hailing service firm Uber Technologies Inc is facing a backlash from its driver partners in its home country. Drivers of Uber, the world's most valued startup, joined together in a nationwide protest on Tuesday, to call for a minimum hourly wage of $15 compared with $7.25 currently. According to a Reuters report on Tuesday, hundreds of Uber drivers in two dozen cities will join the union-backed "Fight for $15" campaign. The "Fight for $15" protests have been going on for over four years in America and include low-wage employees like home care maids and restaurant workers. 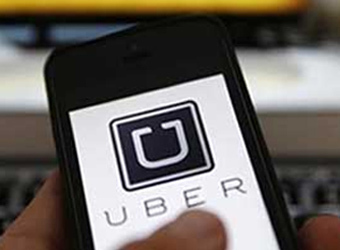 The Reuters report said that Uber drivers have sued the company in several states, as they are categorised as contractors and not given employee protection. Separately, CNN reported that Uber had earlier claimed drivers make an average of more than $19 per hour, which does not include expenses such as fuel and repair, in the country's top 20 markets. This is not the first time Uber is facing such protests. Two years ago, Uber drivers had protested in front of the company's San Francisco headquarters against "unfair treatment". Last month, Uber lost an important case on the other side of the Atlantic. A UK employment court ruled in a landmark case that Uber drivers are not self-employed and they should be paid the "national living wage". In India, Uber and local rival Ola faced a strike by drivers last week in Assam to protest falling incomes as the firms continue to acquire more cabs and cut incentives. Around 12,000 cabs were reportedly off the road in the city during the strike. Earlier, Ola and Uber faced a setback when the Karnataka High Court upheld the state government's rule to put an upper limit on fares. The court's order effectively puts an end to cab aggregators' surge pricing model. The state had stipulated a rate of Rs 19.50 per km, as the upper limit.